Chuck Palahniuk shocked fans when he announced Fight Club 2: The Cult, a sequel to his cult novel Fight Club and the cult film of the same name starring Brad Pitt and Edward Norton. The soon-to-be-released sequel will be a continuance of the book in graphic novel form. It’s a safe bet to say that if it is any way successful then it will be adapted for the big screen regardless of its quality. “If the first one made money, the second one will make more” seems to be justification enough to bring back the same characters, have bigger stunts and move to some new locales in a vain attempt to make near enough the same film. The idea for the Pirates of the Caribbean: Curse of the Black Pearl came from a Disneyland rollercoaster. It was a big enough risk to make the first film, but due to a half decent plot and some charismatic acting from Johnny Depp, the film became a critical and financial success. One would have been enough but the dollar signs were clear for all to see so the sequels came with their ridiculously convoluted plots and not even Depp’s swagger could save these films from sinking. Liam Neeson thought the first Taken would go straight to DVD and only took on the project because he was getting paid to spend a couple of weeks in Paris. 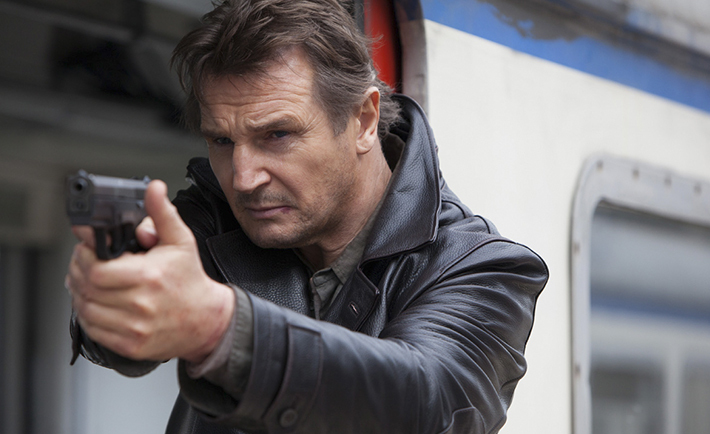 That phone call and the Bourne-style action sequences and this film relaunched Neeson’s career as an action star. Neeson seemed to lose interest after the first one with him just going through the motions in the next two. At least the third one has Forrest Whittaker in it. The idea of the first Hangover was pretty good; having a wild stag night and losing the groom would be a nightmare to most groomsmen. A great set-up for a standalone comedy film, but then the second was just the first in Thailand and in the third one they’re not even hungover! Logic need not apply. The first one was bad enough, but there was enough interest in it to warrant a sequel. Stand Your Ground went straight to DVD and a lot of people don’t even know it exists. It carries on from the first one where some of the members of the GSE are sent to prison for their part in the brawl at the end of the first film. From there on it rolls through most prison film clichés of crooked guards and shower assaults. It actually ends with them having a game of football against a rival firm where the winners get to be released. Seriously. Why did they even make the first one?